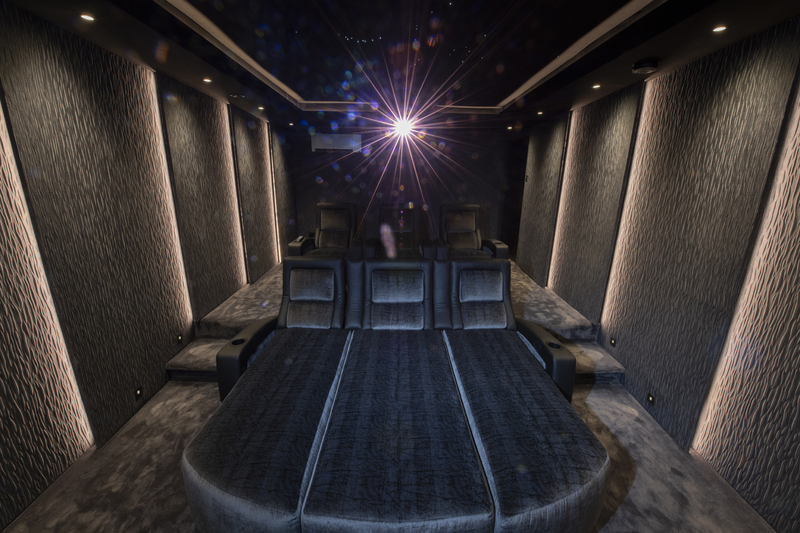 We were contacted by Cyberhomes to work with them to create an amazing dedicated home cinema room. 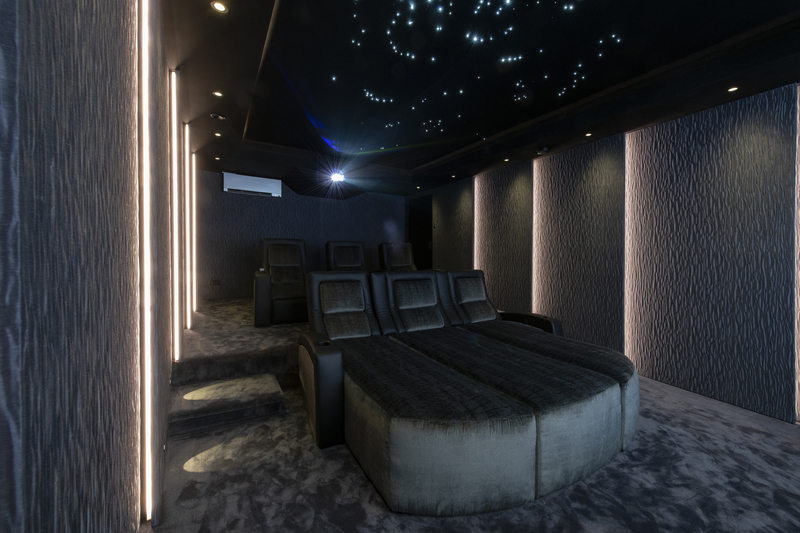 After meeting with Cyberhomes, the client and the interior designer, a room designed had been agreed. 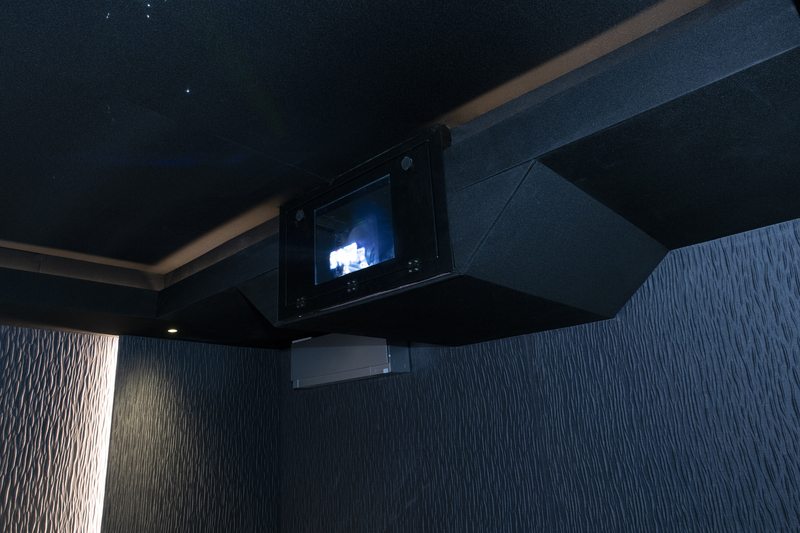 The room was to have stepped side walls and a bulkhead built around perimeter of the ceiling. 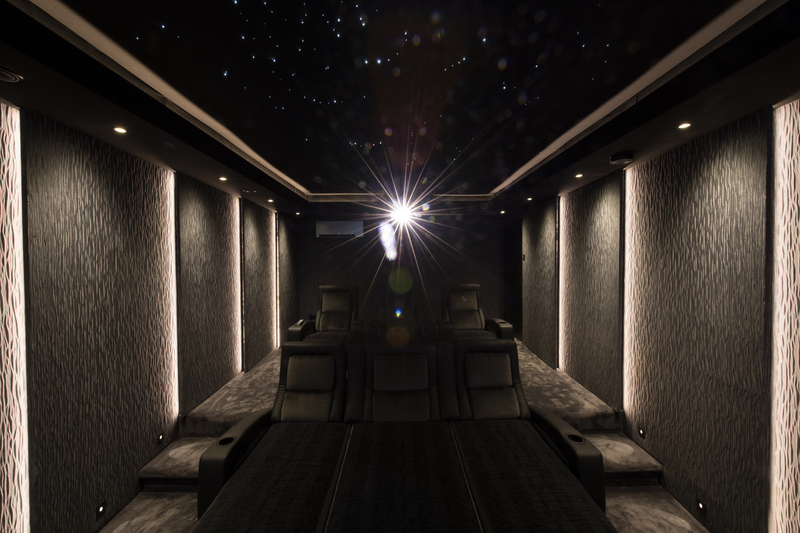 The ceiling was to be a fabric covered fibre optic starlight ceiling. Grey crinkle effect fabric was chosen for rear and side walls. 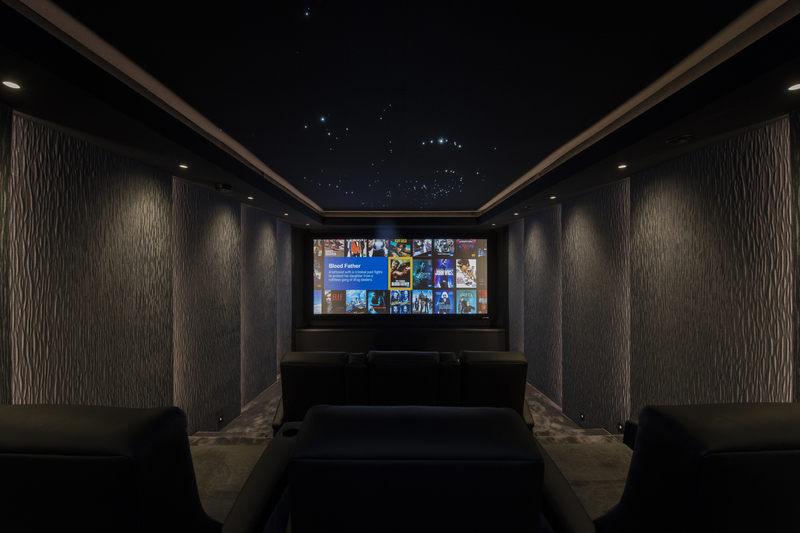 Black acoustically transparent fabric was chosen for ceiling, bulkhead and screen wall to help create a real cinematic experience. 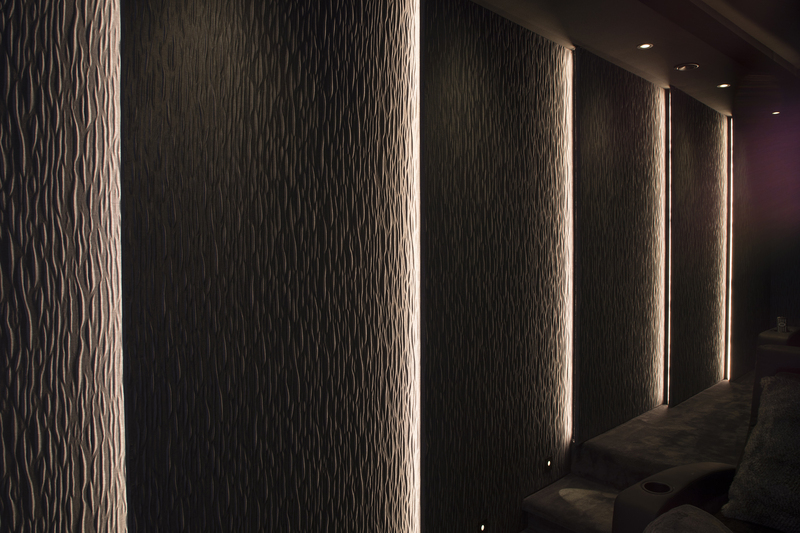 • Stepped wall sections built to accommodate acoustic panels and speakers and incorporate led strip lighting.